Then: secrecy, clandestine operations, prioritization of doctrine and military training. Now: increasing spectacularization, live-streaming the slaughter, catchy mottos, and renewed emphasis on captivating symbols. Historically, the far-right and jihadism have had multiple similarities and common characteristics, and this pattern seems to be continuing, albeit with the far-right increasingly drawing inspiration from the most extreme, audacious wing of international jihadism, embodied most notably in the Islamic State (ISIS). After Christchurch, the spectacularization of racist, anti-Islamic, and anti-Semitic violence is likely to increase. 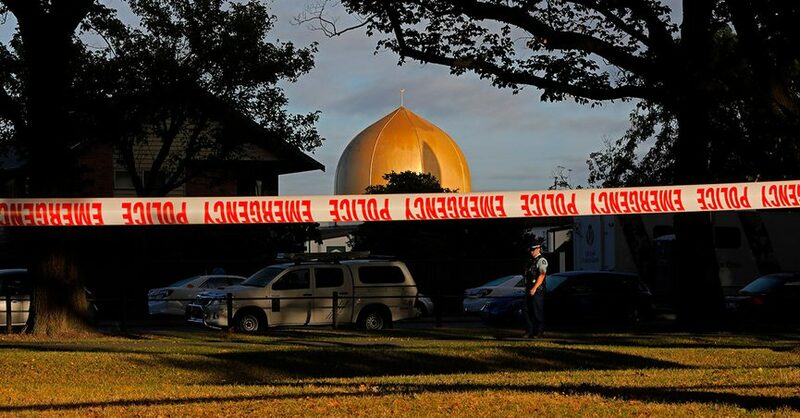 On Friday, March 15, Brenton Tarrant, a 28-year-old Australian citizen, opened fire against Muslim worshippers in two mosques in the city of Christchurch in New Zealand. The attack began just after 1:30 PM local time, at al-Nur Mosque. The second mosque to be attacked was on Linwood Avenue. Improvised explosive devices (IEDs) were also found under the killer’s car nearby and in an alleged accomplice’s car and defused. Tarrant — who had not appeared on any terrorism watch-lists before this attack — was soon arrested, as were three other people. On Sunday, March 17, New Zealand police confirmed that the death toll from the massacre had climbed to 50, and around 50 more people were treated for gunshot wounds at local hospitals. For decades, far-right radicals and radical Islamists have been considered directly opposing enemies. However, it is now increasingly evident that the political vision of the two is strikingly similar: one believes in an Islamophobic conspiracy theory, where Muslims have infiltrated and threaten the West, and the other side believes a corrupt and aggressive West seeks to eradicate Islam. A symbiotic, mutually-reinforcing relationship exists between them. The far-right portrays jihadists or — at least — radical Islamists as representatives of the whole Muslim community, whereas jihadists and radical Islamists portray the far-right as representative of the entire West, and every time the enemy engages in a terror attack, their own narrative is confirmed and strengthened. Both of their engines are fueled by fear, since when communities are scared they are more vulnerable to radical narratives . Beside this increasingly crucial mechanism of reciprocal strengthening, clear similarities exist between these two forms of radicalization. Historically, three main analogies occur between jihadism and the far-right: the absence of shades, the particular balance between revolution and conservatism, and the cult of heroism. The unwillingness to acknowledge shades leads to a world defined by binaries: good and evil, Muslim and kāfir (infidel) or, in the case of the far-right, whites and blacks, locals and migrants. Within this worldview, the extremists can perceive themselves as the sole representatives of order and authenticity. Though there is limited academic debate on how to conceptualize far-right terrorism and violence, it is undeniable that members of the far-right share an inherent need for sameness and group authority, resulting in an intolerance towards diversity . Similarly, for jihadists there is no physical or metaphorical land between Dār al-Islām (“House of Islam”) and Dār al-Kufr (“Land of the Unbelief”) or Dar al-Ḥarb (“Land of War”) . According to Gilles Kepel, in the jihadi mindset choosing Mecca has to mean rejecting Athens, the Western archetype. The second fundamental similarity concerns the particular balance between revolutionary strength and conservatism, between the Exception and the Norm. Both jihadism and the far-right tend to display a dual attitude in relation to revolution and tradition. They support a wholesale transformation of society in a revolutionary spasm that will sweep away the contemporary decadence. However, once these ideologies prevail, they proceed to a systematic sanctification of tradition and rely on an alignment with a glorified past, be it the rise of Islam or the Roman expansion, the ideal Caliphate or a supposed racially homogeneous West. This deceptive alternation between revolution and tradition can be regarded as a milestone of both ideologies, which choose to embody the Exception only to reinstate the Norm. The third major feature that jihadism and far-right radicalism share is the cult of heroism. It implies the celebration of physical and mental strength and a revisited form of muruwwa, a code of conduct for men that included bravery, revenge, protection, and loyalty. Historically, this idealized set of virtues characterizes both jihadism and far-right radicalism . In newspapers and magazines like Il Popolo d’Italia (Italian People) or Dabiq, La Fiamma Nazionale (National Flame) or Rumiya, the heroic achievements of the members of the group, be it the community of fighters in ISIS or the Italian Fascists, are celebrated with markedly similar narratives focused on honor, pride, revenge, and redemption. In an effort to expand the influence of fascism in the life of citizens, the fascist state grouped almost every generation in different layers of a new social pyramid. From the ages of 14 to 18, people were supposed to join the Avanguardisti (avant-gardists), which is exactly the same keyword that the radical Islamist ideologue Sayyd Qutb used later. Qutb, in his Ma’alim fi tariq, “Milestones”, states the need for a vanguard, a select group in charge of paving the way for the spread of the new movement. In more recent times, the idea that a brave vanguard is necessary to bring a new era of order and discipline to the world and fight the widespread weakness, corruption, and debauchery can be found on the forums of virtually any jihadist, far-right, white supremacist, or Militia-like group. In the last few years, beside the abovementioned analogies and other core features that far-right radicalism and jihadism share, the former has been taking on new characteristics that closely resemble the latest era of jihadism and suggest a partly similar evolution. The attacks on the Christchurch mosques are a case in point. In planning and staging the attacks, the imperative of secrecy, the priority of long-term goals, and the focus on patient, paramilitary training have been replaced by spectacularization and increasing mediatization. Similarly, the importance of doctrinal knowledge is being replaced by a fragmented collection of particles from a multitide of ideologies. This is exactly the same simplification trend that can be found in the latest wave of jihadism, embodied mainly — though not exclusively — by ISIS. Tarrant had posted his intentions on a chat forum called 8chan, along with a link to a livestream from his headcam. The seventeen-minute video shows Tarrant taking a gun out of the boot of his car, walking towards al-Nur Mosque, and beginning to shoot as he reaches the doorway. Tarrant then walks through the building firing at anything that moves, before shooting the wounded. Significantly, Tarrant left a 70-plus-page manifesto that points to a political motive for the killings. It is titled The Great Replacement: Towards a New Society , with reference to the fact that, in his worldview, immigrants are racially and culturally replacing native populations in the West. Tarrant is hardly the first Westerner to give voice to this notion that native populations are being demographically displaced, but this controversy usually focuses on Europe. It is an even more tenuous argument in the case of New Zealand, where, as in Australia, the immigration policies are based on a strict selection system. Tarrant identifies himself as an “eco-fascist” and a racist “by definition”, with his primary concern being the presence of Muslims in the West. None of these terms are explained in any depth, however, and reveal an ideological shallowness. 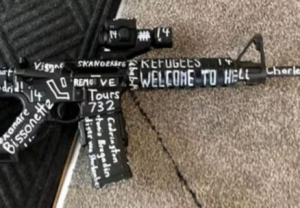 At the same time, in an effort to raise the intellectual tone, Tarrant produces a mishmash of references, some of which appeared on his gun (see picture, right). Getting ready for his big day, the attacker mixes elevated allusions to historical battles from different ages between Christendom and the various Islamic Empires  — seen as the ancestor of the current “invaders” — with racist jokes and slogans derived from Adolf Hitler’s Mein Kampf. A further feature that reveals the tendency to embrace a ready-to-go and sensational form of radicalization is the non-existent selectivity in the choice of inspirational figures: to the names of Anders Breivik  and Alexandre Bissonnette , Tarrant added the names of individuals the caliber of Luca Traini, whose attack caused no deaths . The primary purpose of mentioning these names was to inflate his narrative and the sense that he represents a movement by connecting his actions with a long line of like-minded warriors . Before social media, media outlets were able to act as gatekeepers that could strategically silence those seeking to use the press as a mouthpiece. A famous case is the black press in the US choosing to ignore the Ku Klux Klan, unless it was to highlight the group’s decline, and a similar thing happened later with Jewish civil-rights groups urging journalists not to give oxygen to the American Nazi Party. Now, social media has eliminated this barrier to extremist voices finding an audience. The emerging spectacular far-right, like its jihadi counterpart, knows how to exploit all the available resources, and its chaotic ideological foundations do not make it any less dangerous. In fact, as seen with the unprecedented recruitment success of ISIS, there is an increasing demand for shallow, spectacular, and entertaining radicalization. Radicals of all kinds don’t really want to study anymore, what they want is action. See for instance J. Ebner, The Rage: The Vicious Circle of Islamist and Far Right Extremism, I.B. Tauris, London, 2018. J. A. Ravndal — T. Bjørgo, Investigating Terrorism from the Extreme Right: A Review of Past and Present Research, Perspectives on Terrorism, vol. 12, issue 6, 2018, p. 6. According to the jihadi radical perspective, the notions of Dār al-′ Ahd, “Land of Truce” and Dār al-Ṣulḥ, “Land of Conciliation,” which in the classical Islamic doctrine used to indicate territories that have a treaty of non-aggression or peace with Muslims, are no longer significant. Originally Muruwwa was a tribal set of tribal virtues that pre-existed Islam. The inspiration here can be traced back to the work Grand Remplacement, published by the right-wing French polemicist Renaud Camus in 2012. “It’s the birthrates. It’s the birthrates. It’s the birthrates,” says the Christchurch manifesto, echoing Camus’ premise. The French intellectual condemned the Christchurch attack but declared to be glad “that people take notice of the ethnic substitution that is in progress”. A. Humphreys, The Christchurch manifesto: a weaponization of the internet’s ranting troll culture, National Post, March 16, 2019. Anders Breivik is a Norwegian far-right terrorist who killed eight people by detonating a van bomb amid Regjeringskvartalet in Oslo, then shot dead 69 participants of a Workers’ Youth League (AUF) summer camp on the island of Utøya on July 22, 2011. In 2012, he was convicted of mass murder, causing a fatal explosion, and terrorism. On January 29, 2017, Alexandre Bissonnette killed six and injured nineteen at the Islamic Cultural Centre of Quebec City, Canada. Last February, Bissonnette was sentenced to life in prison, with no possibility of parole for 40 years. Luca Traini was a member and former local candidate of Lega Nord who, on February 3, 2018, shot and wounded six African migrants in Macerata, Italy. In October 2018 Traini was sentenced to 12 years of detention. In the aftermath of the Christchurch attacks, Luca Traini dissociated himself from the event, declaring to be regretful about his acts of violence. P. Neumann, Christchurch and the rise of the far right, The Washington Post, March 19, 2019. J. Ebner — A. Amarasingam, Calls for a ‘white jihad’ show how terrifyingly intertwined Islamists and the far-Right have become, The Telegraph, September 7, 2017. New Zealand mosque shooting: What is known about the suspect?, BBC News, March 18, 2019. The Soufan Center, IntelBrief: Right Wing Terrorism and ‘The Enemy Within’, February 26, 2019. J. Donovan, How Hate Groups’ Secret Sound System Works, The Atlantic, March 17, 2019. SITE Intelligence Group, AQIM-JNIM Release Joint Statement on New Zealand Shootings, Call to Target “Crusader Far Right”, March 18.